Finance Minsiter Arun Jaitley on Saturday said in his Budget speech highlighted the need to put a stop to speculation and proposed to merge the Foward Markets commission (FMC) with the Securities and Exchange board of India (Sebi). “This will reduce speculation in the markets,” the finance minister said.. This will require amendments to the Sebi Act, Securities Contract Regulation Act (SCRA) and Foreign Contribution (Regulation) Act (FCRA), and the Foreign Exchange Management Act (Fema). The finance minister also announced introducing all initiatives under the recommendations of the Financial Sector Legislative Reforms Commission (FSLRC), headed by justice B N Srikrishna and including agencies like FSAT, PDMA, FDMC and FRA. 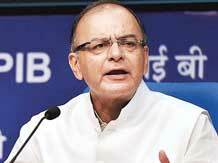 “I intend to introduce the Indian financial code in Parliament very soon,” said Jaitley.